Tan-yr-Onnen Guest House offers quality bed and breakfast (B&B) accommodation near St. Asaph at the head of the Vale of Clwyd in North Wales. This bed and breakfast is set in a rural location, just off the A55, and is an ideal holiday base from which to explore North Wales. This accommodation is only a few minutes drive from the St Asaph Business Park, and convenient for Prestatyn, Rhuddlan and Rhyl. 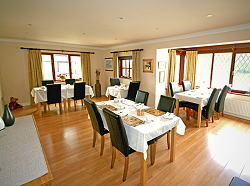 Tan-yr-Onnen offers quality comfortable non-smoking bed and breakfast accommodation. 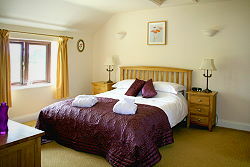 All rooms have been recently refurbished to a high standard. There are six bedrooms. 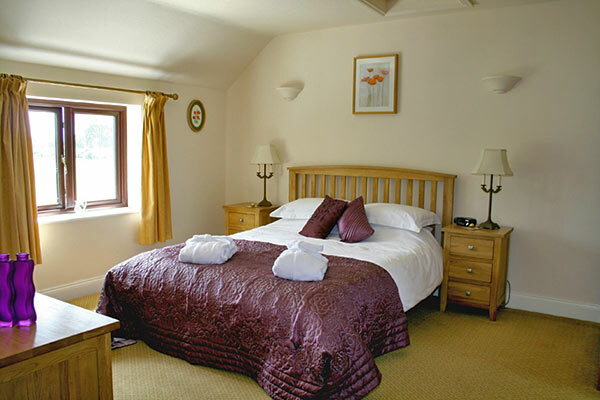 Four are ground floor king-size rooms with ensuite superior bathrooms. 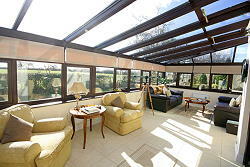 These rooms enjoy the benefit of French windows opening onto a terrace, for you to enjoy the beautiful view on a summer's evening with a cool glass of wine. 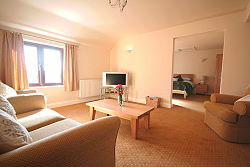 Upstairs there are 2 luxury suites, with a spacious comfortable sitting room and large bathroom. 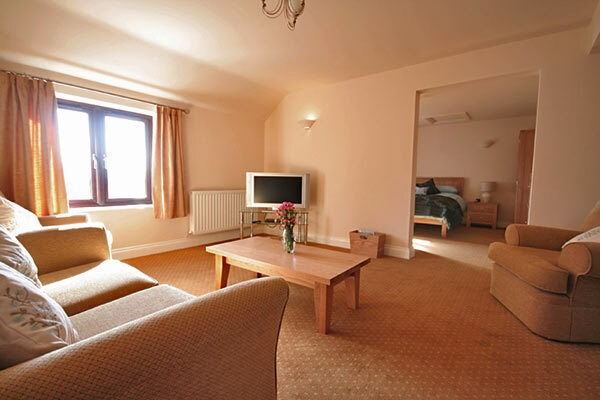 All rooms are furnished to a very high standard and all of them offer colour TV/DVD/Freeview, free wi-fi internet access, tea and coffee making facilities, radio alarms, fluffy towels and bathrobes, and all those little extras to make your stay all the more enjoyable. Guests can relax in the comfortable lounge, or spacious conservatory - an ideal place to plan your next day exploring North Wales. A computer with free Internet access is also available for your use for checking webmail etc. In the morning enjoy a tasty Welsh breakfast of locally sourced produce with home baked bread, cereals, fruit juices and fresh tea and coffee to set you up for the day. 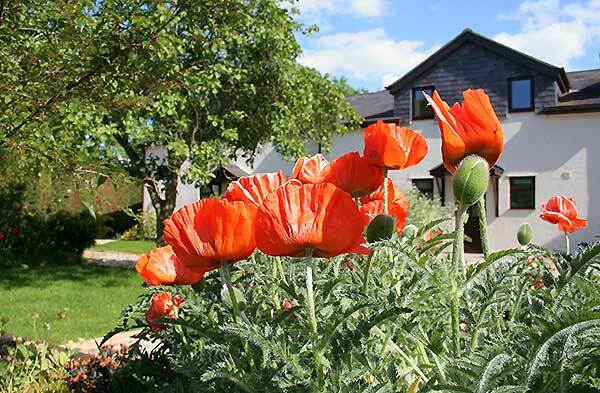 Tan-yr-Onnen Guest House is set within six acres of gardens and fields in the beautiful Vale of Clwyd at the foot of the Clwydian range. 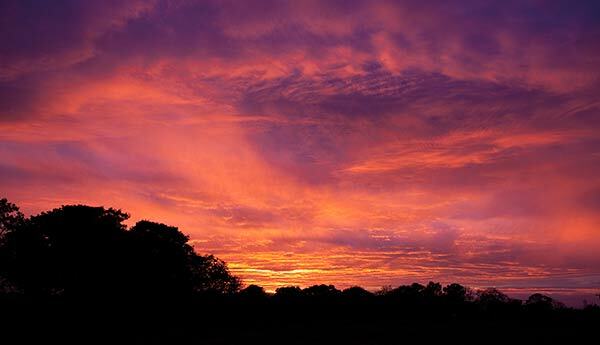 See the local area page for information on things to do in this part of North Wales. There is also plenty of private parking at the property. Patrick and Sara are used to looking after their guests, and in 2002 they won the 'Booker Prize for Excellence - Best Forecourt Shop' when running their previous business. pppn = per person per night, based on two sharing. See details of each room. 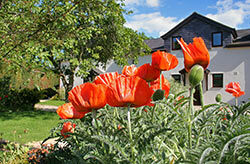 You can book accommodation online. 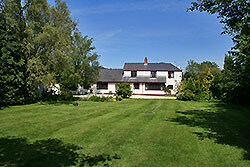 Tan-yr-Onnen is situated at the edge of the Clwydian Range which is a designated Area of Outstanding Natural Beauty. This bed & breakfast accommodation is ideally located for exploring the natural beauty and tourist attractions of North Wales. 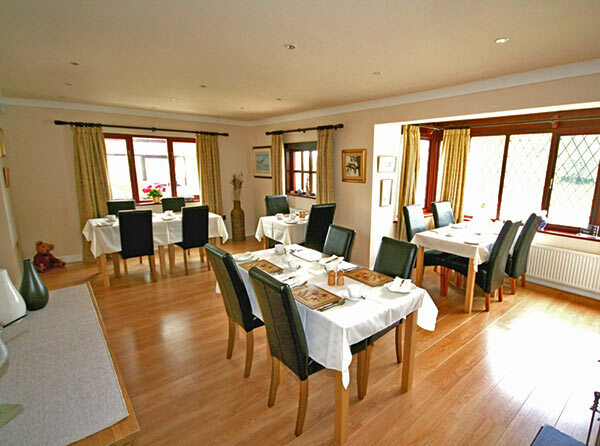 Overseas guests will find Tan-yr-Onnen offers hotel style lodgings that are an excellent base for a vacation in North Wales. Most rooms are on the ground floor, and there is a large private car park. A computer with free internet access is available so you can keep in touch with family at home.